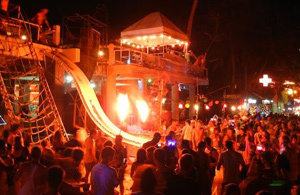 Thailand’s world-famous Full Moon Party on Koh Phangan takes epic to a whole new level! 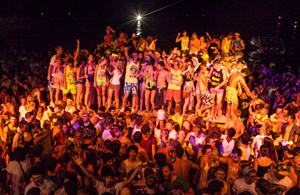 With up to 40,000 party goers on Sunrise Beach of Haad Rin, Koh Phangan it’s the most famous party in the world. 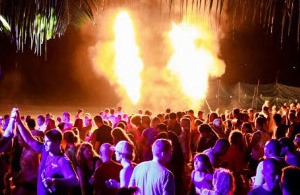 We want you to remember the night (you are bound to forget) for the right reasons though, so here’s the Ultimate guide to surviving the Full Moon Party! 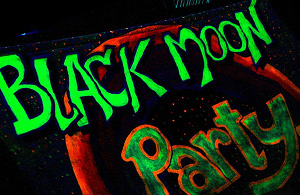 Ultimate Guide to the Full Moon Party! 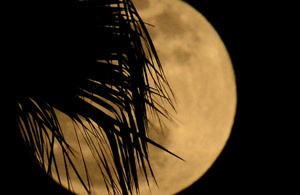 When are the Full Moon Parties? 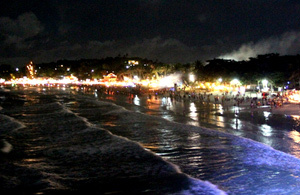 Full Moon Parties happen every month, but dates are adjusted around Buddhist holidays so do not always coincide with the night of the actual full moon. View the list of party dates shown. 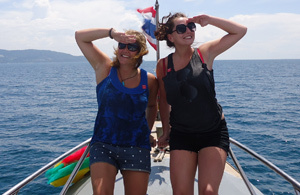 We suggest arriving in Koh Phangan at least 5-7 days in advance of a Full Moon Party, as finding accommodation during the busy season is nearly impossible. Don’t bother booking online, any rooms you find will be at the more expensive end of the scale and will probably have a minimum stay that doesn’t fit in with your plans. 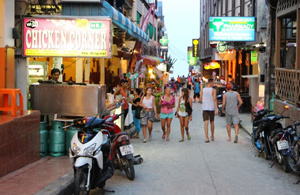 There are plenty of places to stay that will only be found by walking around and asking directly. What other parties are there? You should also take a set amount of money out with you and leave your cards/wallet/purse behind. Again, you will run the risk of losing this one way or another. If you run out of money while you’re there, it’s likely because you don’t need to be spending any more! Thousands of people on a beach means broken bottles and cut feet galore, so wear footwear of some kind 0r you’ll end up like Bruce Willis in Die Hard! They don’t have to be your favourite shoes, in fact, we’d advise against it, but glass in the feet is sure to be more of a nuisance than a pair of flip flops! 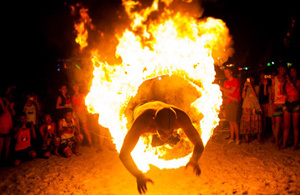 There’s plenty of entertainment at the Full Moon Party and whilst we won’t tell you not to get involved, we will ask you to use your judgement … If fire rope jumping is something you just have to tick off your bucket list, it’s probably a good idea to do it before you’ve had too many buckets and can still stand! 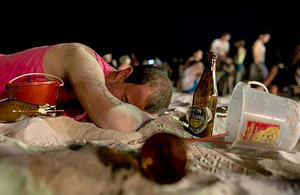 The burns can be painful and, again, will make that hangover a lot worse! 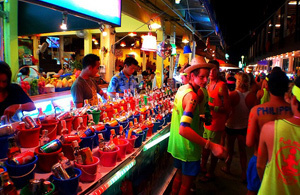 Our Ultimate Thailand tour ends in Koh Phangan, so you’re all set for the Party!